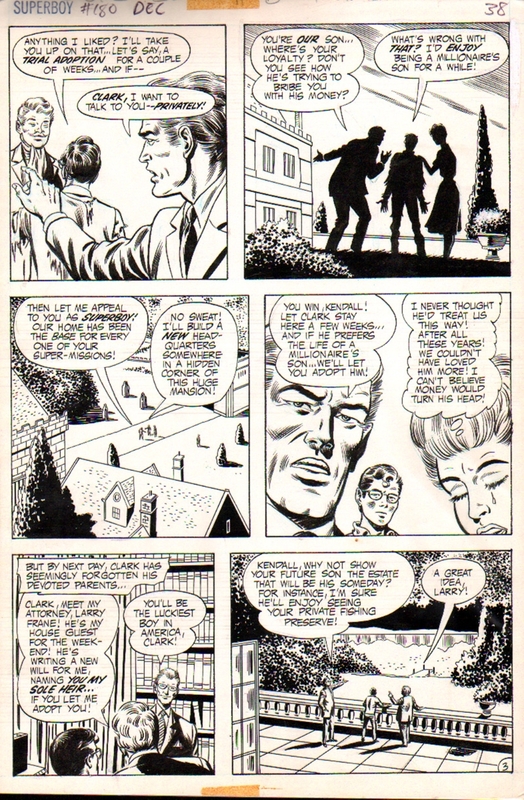 Nice 1971 Superboy page with Clark Kent throughout with Ma and Pa Kent also, from the story titled: "Clark Kent, Madcap Millionaire!" Page has FINISHED pencils and FULL inks by the great MURPHY ANDERSON! COOL!